DELIVERY NOT AVAILABLE. SELECT PICK UP OPTION. 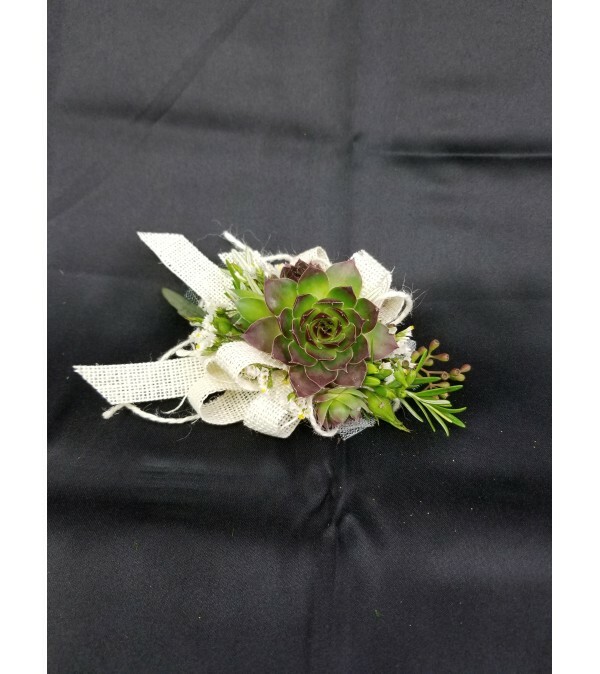 This modern succulent corsage will be the talk of the night! DELUXE version includes a keepsake bracelet. PREMIUM version includes a keepsake bracelet and bling.